Throughout the ownership of your vehicle, our Service Department offers multiple service options that save time and money. 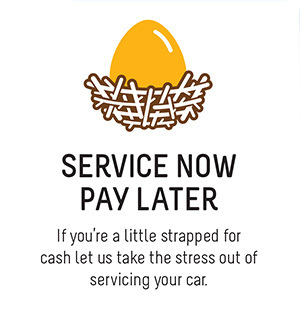 Because we understand how precious your time is we created the City Nissan Earlybird Service which allows you to drop your car in for service before work and pick up on your way home. To make this easier for you we offer a free convenient Shuttle Service from the dealership into the CBD every day. Where does the time go! It's the one thing we don't have enough of. At City Nissan we are excited to offer our customers a guaranteed one hour service* for selected minor services so you can get on with your day without delay. *Conditions apply. Available on selected minor services up to 60,000km, enquire within to confirm service interval. Additional repairs not included under Express Service. Bookings essential. Life is full of unexpected surprises, but sometimes they can be expensive. So City Nissan has created an exclusive program to help you manage the cost of maintaining your vehicle, for up to 6 years*, from the time of purchase. *Selected models, enquire within. For scheduled services only, including parts. Does not included wear and tear items e.g. brakes and tyres. For more information about servicing refer to your owners manual. Applicable to vehicles up to 10,000km. Full tersm and conditions available at City Nissan. No one likes stress. Unexpected expenses can be a major cause of stress especially when it comes to maintaining your vehicle. 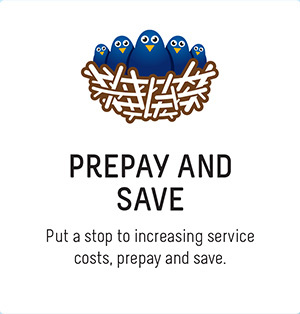 At City Nissan we are trying to make life a little easier by allowing you to book in your services and pay for it in simple, manageable interest free repayments.